David Rokeby, Very Nervous System, 1986-present. David Rokeby, Echoing Narcissus, 1987. Interactive sound sculpture. Installation view. David Rokeby (1) is an interactive sound and video installation artist based in Toronto, Canada. Born in 1960 in Tillsonburg, Ontario, Canada, Rokeby studied experimental art at the Ontario College of Art from 1979 to 1984 and has been creating interactive installations since 1982. He has focused on interactive pieces that directly engage the human body or involve artificial perception systems. Rokeby's best-known series of installations, Very Nervous System (1986 to present), was first displayed at the Venice Biennale in 1986 and has since been consistently shown around the world. His work has been exhibited in shows across Canada, the United States, Europe, Japan and Korea, including SIGGRAPH'88 Art Show (Atlanta, U.S., 1988), Ars Electronica (Linz, Austria, 1991), Mediale (Hamburg, Germany, 1993), the Power Plant (Toronto, Canada, 1995), the Kwangju Biennale (Kwangju, Korea, 1995), Holly Solomon Gallery (New York City, U.S., 1996) and the Biennale di Firenze (Florence, Italy, 1996). Rokeby won the first Petro-Canada Award for Media Arts in 1988 and the Prix Ars Electronica Award of Distinction for Interactive Art (Austria) in 1991, 1997 with Paul Garrin and again in 2002. (2) This same year, Rokeby won the Governor's General Visual and Media Arts Award. 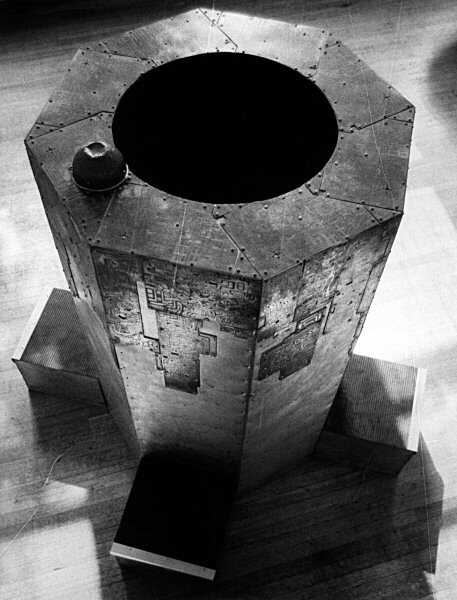 David Rokeby's first major interactive work was exhibited in 1984 at the National Arts Centre in Ottawa, Canada. Body Language (1984-1986) was a cybernetic sculpture made up of three computers, a synthesizer, three video cameras, a digitally controlled mixer and an amplification system designed to transform what the camera saw into a complex sound environment and video images. Visitors were invited to dance or make dynamic or minimal movements with their body while the computer program designed by Rokeby read these movements and translated them into music. One of Rokeby's main concerns in this piece was the issue of interactivity. He wanted to explore how visitors could implicate themselves in the piece without controlling their movements or predicting the results of their gestures. The body's relationship to movement has been a major preoccupation for Rokeby, and he spoke of this in an early interview in Musicworks. Rokeby considers Body Language the precursor to Very Nervous System, (1986 to present), his most widely known series of installations. 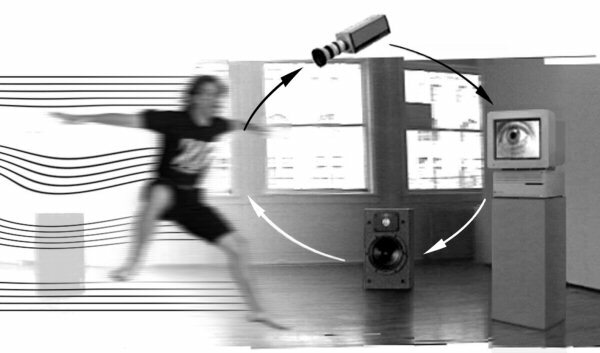 Movement translated into music or images is the basis for the work, which evolved out of Rokeby's early interest in interactive systems. Very Nervous System is also the name of the interface designed by Rokeby to capture movement and translate it into sound or music. The system has been used not only by Rokeby; many artists, programmers and researchers have acquired a copy of the software for their own installations or artistic projects. As well, Rokeby's system has been adopted by medical researchers and even a woman with cerebral palsy. The system translates the woman's eye movements into words to enable her to communicate efficiently. This preoccupation with the relationship between visitor and artwork permeates all his interactive pieces in a sensitive rather than invasive manner. For Rokeby, the challenge is to design a system that counters contemporary interactive works that remain predictable and controllable. In January 2001, Presentation House Gallery (8) (North Vancouver, Canada) exhibited the recent versions of some of his most well known works including the Giver of Names (1998) and Watch (1995). More recently, while continuing to exhibit and develop Very Nervous System and The Giver of Names, Rokeby has created several new installations including Border Patrol (1998) with Paul Garrin, Universal Translator (1999), Watched and Measured (2000), Shock Absorber (2001), Guardian Angel (2001) and n-Cha(n)t (2001) shown in 2001 at the Walter Phillips Gallery (9) (Banff, Alberta, Canada). Based on the software used in The Giver of Names, n-Cha(n)t essentially recycles the same techniques for generating linguistic units. In this work, a network of computers operating in unison shares a stream of semantic associations. (3) David Rokeby, "Cybernetic Installation : First Real Snake" Musicworks no 33 (Winter 1985-1986): 7. (5) David Rokeby, quoted in Christopher Hume, [unknown title], The Toronto Star (june 19, 1987) : n.p. (6) David Rokeby, "Where the Virtual Meets the Real" in Touch/Touché (Regina : Mackenzie Art Gallery, 1999): 12. The Giver of Names explores complex phenomena in the linguistic systems of both man and machine. Born in Tillsonburg (Ontario) in 1960, David Rokeby studied at the Ontario College of Art in Toronto under Norman White, graduating in experimental arts. This interview with David Rokeby took place on September 18th, 2007 at the Montreal Museum of Fine Arts, and was conducted by Lizzie Muller and Caitlin Jones and filmed by Paul Kuranko.